Vulnerability. One small hiccup in your global supply chain, halfway around the world, takes time and money to fix. Increased shipping and storage costs. Lack of flexibility for product diversification and customization. So, how do we avoid the shortcomings of our current supply chain system? Eliminate the complexity and vulnerability of a global supply chain by dividing your supply chain into smaller, more nimble ones. 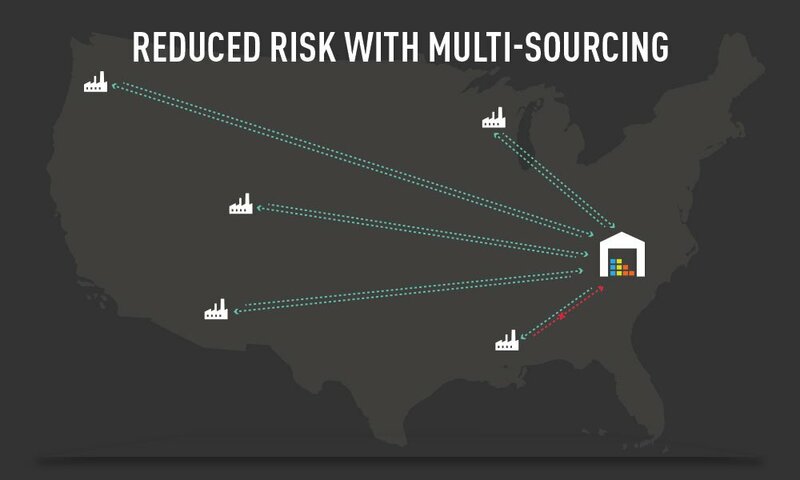 If one goes down, multi-sourcing allows you to make another supply chain to pick up where the other left off. Manage your risk. Reduce shipping costs, increase your transparency, and better manage your production by locating your new, nimble supply chains closer to consumers, thus allowing you to adapt quickly and flexibly to consumer demand. **Transparency means getting the quality you need. This saves you time, money and hair among other things. Only buy what you need, when you need it. Using an online marketplace like MakeTime you can instantly but machine time, allowing you to quickly, cheaply and efficiently manufacture your new products at the desired level of customization. This reduces sourcing costs, storage costs, and manufacturing overhead.